Surinam was along the northern section of the South American continent on what was referred to as the 'Wild Coast'. It was but one river of many on that stretch of coastline. Europeans had primarily been interested in this region due to tales of a fantastical city of gold called El Dorado. Spanish, English, French and Dutch mariners and explorers had all been lured to the region in hopes of stumbling across some clue to the city's existence. The first English attempt to establish a settlement along the River Surinam was by Captain Marshall in the 1630s and early 1640s. They aimed to grow tobacco in emulation of the success of the Virginia and Barbados colonies. Indeed Captain Marshall had left from Barbados with at least 60 settlers and were joined by more in the coming years. At its height, the small settlement numbered 300 colonists. Unfortunately for them, the price of tobacco was no longer holdings its high prices in Europe as Virginia in particular stepped up production and its expertise in growing the tobacco crop. Furthermore an attempted French settlement further down the Surinam River became embroiled in conflict with local tribespeople. The resulting antagonism spilled over into the English settlement as local native people struggled to differentiate between Europeans. By 1645 Marshall's colony had been abandoned although its name would survive through European map makers who continued to mark its location. 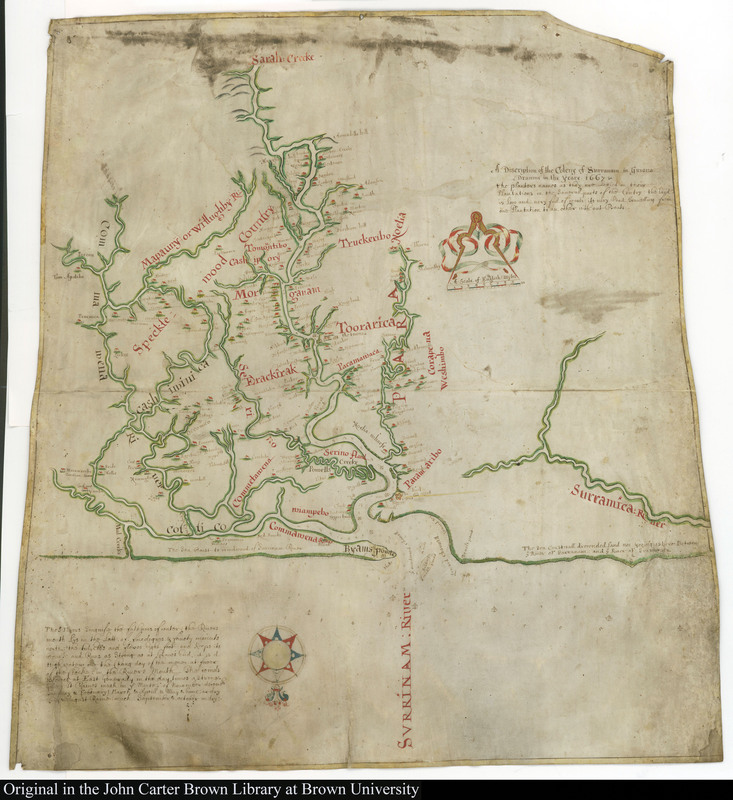 Indeed Marchallkreek is still marked on maps until the present day. Tobacco had proved not to be profitable enough to sustain a colony in Surinam, but a new cash crop being spearheaded in Barbados with the help of Dutch emigres escaping Portuguese retribution in Brazil would prove more transformative. Sugar cane was fetching very high prices in Europe but required a significant amount of land, labour and expertise to grow it successfully. Planters on Barbados were just getting to grips with the techniques when England's Civil War disrupted trade and opportunities and brought new political and religious tensions to the region. An uneasy neutrality between the two factions throughout the region helped allow the Atlantic and Caribbean colonies to avoid significant bloodshed until, paradoxically, after the English Civil War had pretty much ended in England. Disgruntled Royalists fled England to avoid Parliamentarian retribution with many of these heading to the Caribbean. One such person who was Francis Willoughby who had been a moderate Parliamentarian but had defected to the Royalist cause over fears of increasing radicalisation of the Roundhead's cause. The execution of Charles I outraged many of the Royalist emigres some of whom set about seizing control of the island. This prompted Parliament to send a fleet to seize the islands and reestablish Parliamentarian control in the New World colonies. Furthermore, Parliament enacted strict Navigation Acts in an attempt to discourage trade with the Dutch and other rival European powers. 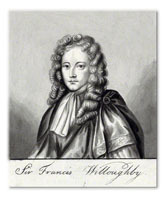 Francis Willoughby attempted to entreaty with Parliament but at the same time investigated alternative opportunities should negotiations break down. He hit on the idea of establishing a settlement on the River Surinam where they would grow sugar cane. In addition to avoiding Parliamentarian control, they would have access to far more land than was available in Barbados and would also be able to avoid the Navigation Acts and therefore trade with the Dutch. They also hoped that El Dorado would reveal itself in due course, although the price of sugar and Willoughby's own deeper pockets would mean that this was less necessary than it had been for previous expeditions. Willoughby also had the luxury of time to prepare from the far closer location of Barbados. 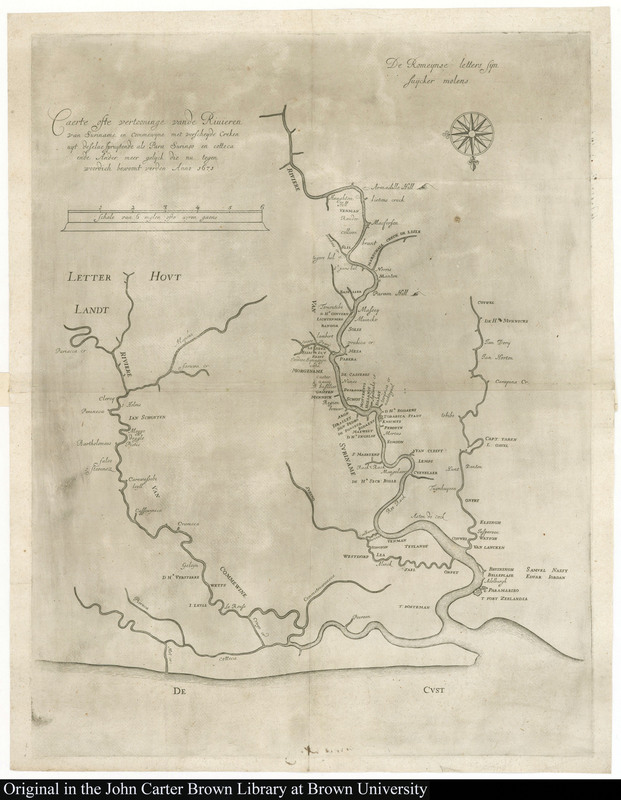 He despatched a reconnaissance force under Captain Rous to map the river system and mark out possible landing sites and plantation locations. 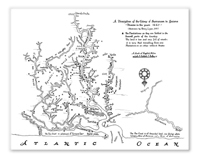 Small expeditions began the process of moving supplies and workers to and from Barbados and the River Surinam throughout 1651. By the time the Parliamentarian naval flotilla under Admiral Ayscue arrived in the Caribbean, Willouhby's preparations for a colony in Surinam were well underway. News of further Royalist defeat at the Battle of Worcestor in 1651 combined with Ayscue's blockade helped those Royalists in Barbados see the hopelessness of their situation. They therefore negotiated a surrender. The new Parliamentarian governor of the island, wary of the extent of Royalist sympathisers on the island was only to happy to facilitate their evacuation of the island to head to the River Surinam and for what was called 'Willoughbyland' in the honour of its prime instigator and organiser. Francis Willoughby himself left Barbados in 1652 for his new colony. About 300 mostly Royalist settlers set about clearing land, building accommodation, a fort (Fort Willoughby), landing sites and planting crops. The settlers maintained cordial relations with neighbouring tribes ensuring that they gave no cause to offend them. 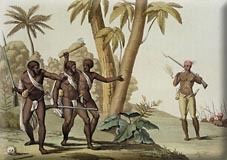 They did take native Indians as slaves but these were generally interior tribespeople who had been captured by the coastal tribes and sold on to the English colonists. They also traded for food and provisions from the local tribes in order to supplement their diets and imports from New England or the Dutch. Francis Willoughby returned to England to petition for a return of his seized lands and the honouring of his surrender terms in Barbados. He also sought new settlers whilst in England promising every emigrant who could pay the five pound passage 50 acres of land plus 30 acres per child and 20 acres per servant they brought with them. If they could not afford the passage price, they could be indentured as a servant for a just 4 years rather than the usual 7. 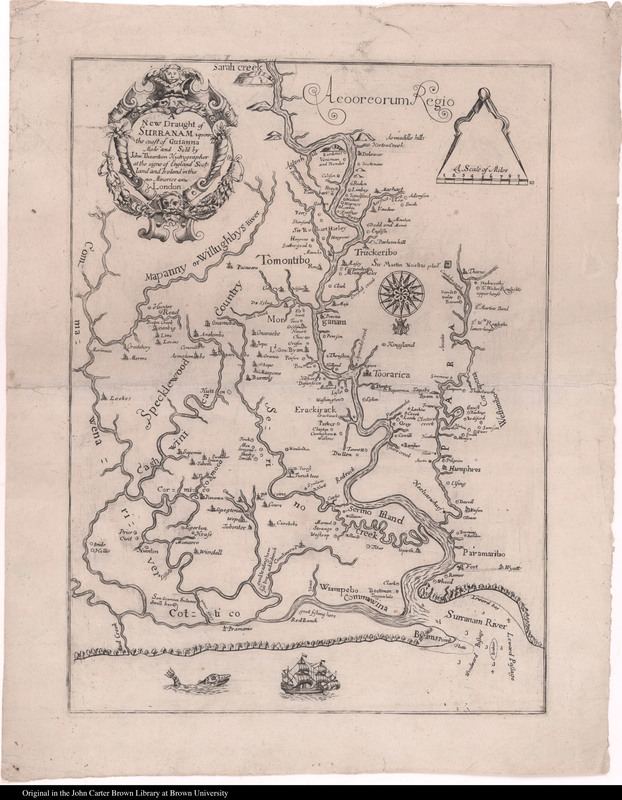 Underwritten personally by Francis Willoughby the small colony grew steadily - stretching further and further up the River Surinam so that by 1656 its plantations extended 60 miles upriver. 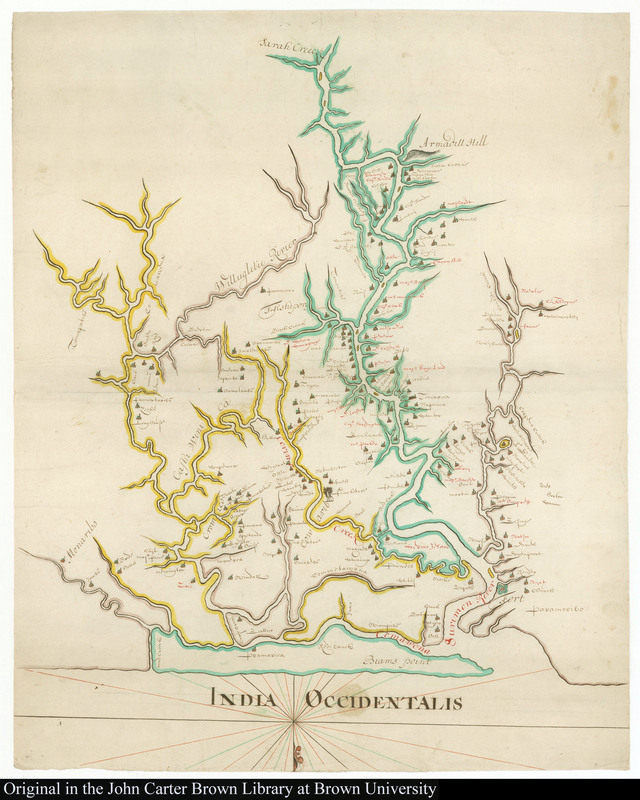 The river provided the main form of communication and transport and so plantations did not extend no further into the interior than a planter could cultivate his crops and still access the waterline. There were two significant infusions of Jewish immigration into the nascent colony. The first came about as a result of the Dutch being expelled from Brazil by the Portuguese who were hostile to Protestantism and Judaism. Some of these Dutch Jews headed directly to Surinam where they laws on freedom of religion were surprisingly liberal for the era and for a Royalist dominated colony. Another infusion of Jews arrived via Cayenne. These had originally been Dutch jews seeking shelter from the Portuguese in what had been a Dutch colony. 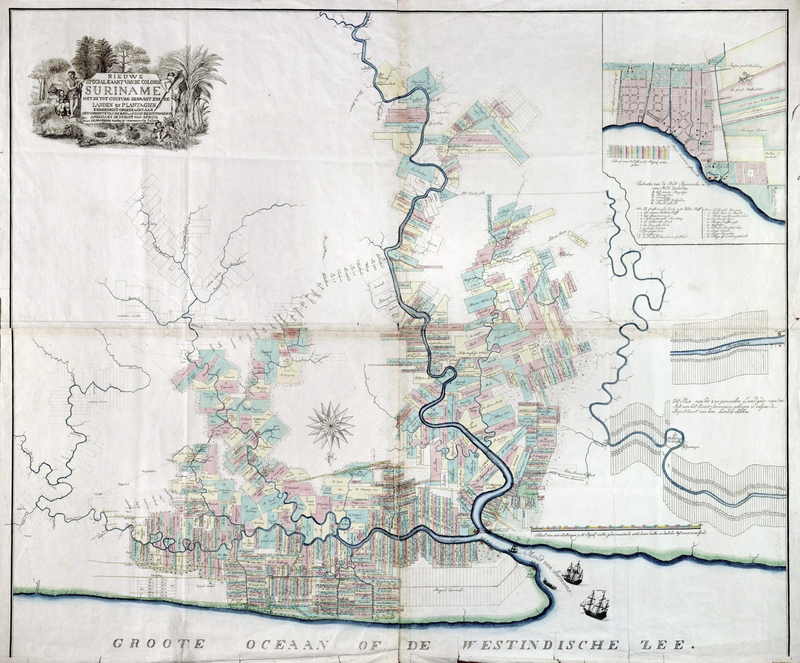 But when this was seized by the French, the Dutch jews followed their predecessors to the River Surinam where a vibrant jewish community was already flourishing. Indeed, Surinam saw the first synagogue built in the Americas. 1655 saw a large Parliamentarian fleet arrive in the Caribbean as part of Oliver Cromwell's 'Western Design' to carry his religous crusade to the Spanish colonies of the New World. This would have concerned the isolated Royalist outpost but as events transpired they need not have worried. 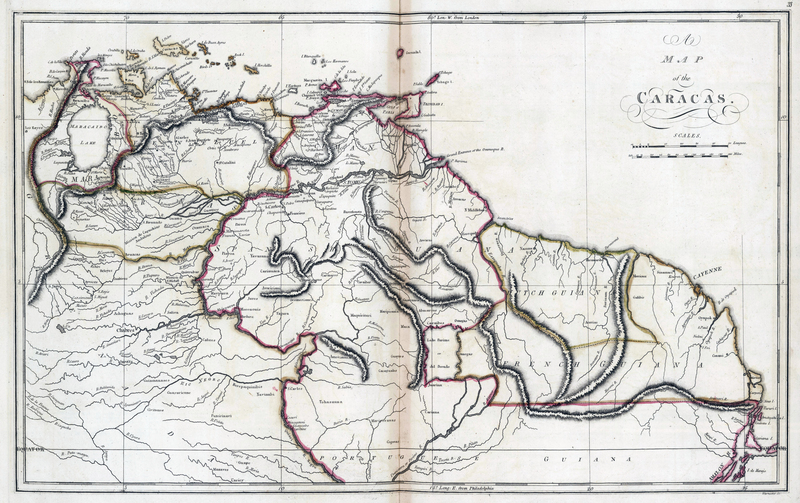 The failure to take Santo Domingo and the costly endeavour to seize the consolation prize of Jamaica meant that the Parliamentarian forces were not in a position to attempt to bring Surinam to heel. Francis Willoughby's ownership of the colony was a constant source of dispute throughout the 1650s and was the prime reason for his remaining in England to argue his case. Whilst the legal right for the colony to exist was argued out in the corridors of power back in London, the colonists in Surinam established their own system of government which was independent of government and Willoughby control. A twenty-one man assembly was established and a governor was elected on an annual basis. He then appointed a six man council to act as the executive authority. The electorate was restricted to the landowners and the well to do and the whole system was modelled on what they had known in Barbados but without the directly appointed Governor being assigned from London. The timing of this colony could hardly have been better as the price of sugar hit all time highs as demand surged back in Europe. The high prices reached for sugar crops allowed for further investment in labour, land clearance and improvements in cultivation. However, it did take time to prepare the land sufficiently to grow sugar in the first place. This meant that settlers had to have patience and deep pockets. In the meantime, they diversified with other crops such as tobacco, cotton, dyes and exotic fruit in order to tide them over and create an income revenue of some kind. 1660 saw important political developments in England that would have important consequences for the colony of Surinam. The Restoration saw the end of England's Commonwealth and the crowning of King Charles II. This would present Francis Willoughby with a personal triumph as he was made Governor of the entire 'Carribbees' and saw his title to his Surinam project confirmed beyond all legal doubt. Unfortunately, the accession of Charles II would also sow the seeds for the ultimate loss and destruction of the colony but in an unexpected manner that would still take many years to play out. The Royal Company of Adventurers was set up in 1660 with Royal patronage and backing. It was soon replaced by the Royal African Company with the King as an active shareholder. The creation of these institutions were an indication that the King wished to challenged the commerical supremacy and monopoly rights of the Dutch. The English set about attacking and capturing Dutch forts in Western Africa and bringing slaves across the Atlantic to sell across the Caribbean and Americas. This was the first time that the English officially 'sanctioned' and 'encouraged' the use of chattel slaves. Hitherto it had been tolerated but the slave trade had been a private concern and largely bought from the Dutch. Surinam itself had relatively few black slaves in the 1650s other than those brought directly from Barbados by their owners. Dutch slaving ships had not called in to Surinam as the colony had a sizeable influx of indentured servants directly from England. All that changed in the 1660s when the Royal African Company started sending ships to Surinam. The authorities had no wish to offend their king and so helped facilitate the sale and use of black slaves in the expanding sugar plantations. The character of the 'tolerant' colony would soon change with the demands for a harsh penal policy to suppress and police the chattel slaves. Beatings, floggings and executions of truculent or escapee slaves seeped negatively throughout the colony. Two other consequences of Charles II's accession included an influx of Parliamentarian emigres seeking to avoid Royal justice in very much the same vein as to why the Royalists had created this colony in the first place. Although they would never be in a majority, their arrival in significant numbers further muddied the internal political and religious balance. The other consequence was Charles II's reissuing of the Navigation Acts. Jealous of the income generated from Parliament's 1650 innovation, Charles reissued them with a Royal Charter. In the case of Surinam, Willoughby was actually given a special dispensation that it would retain its own existing trading privileges which was largely conducted through Dutch vessels. However, these Navigation Acts would further poison relations between England and the Dutch and would ultimately result in a war that would have serious consequences for Willoughbyland. Suspicion and intrigue plagued the colony in the 1660s even before outright war with the Dutch broke out. Royalist and Parliamentarian sympathisers spied upon one another and sought to seek local political ascendancy and support. One of the more famous 'spies' was also to provide one of the more remarkable accounts of Willoughbyland during this period. 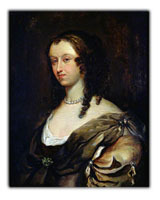 Her name was Aphra Behn and she appears to have been sent as a Royalist spy to keep an eye on various Parliamentarian emigres and report on the loyalty of the colony to the Crown. Indeed when she did return to England she had an extended audience with the Crown and reported on her time in the colony. She would later write a novel set in the colony by the title of Oroonoko, or the Royal Slave. This is one of the first novels in the English novel by a female writer and provides a powerful insight into life and society in the colony. Despite being a work of fiction, many of its characters were genuine or thinly disguised at best and the setting, events and social milieu is clearly based on her experience and knowledge. The book is also interesting as it is an account of the iniquities of slavery seen through the eyes of an African Prince (hence the title). Her own success as a spy may well have been compromised by becoming romantically attached to one of the Parliamentarian sympathisers she had been tasked to discover more about. Nevertheless she provides a fascinating and in-depth look at a young colony full of intrigue and turmoil but also finding its feet and expanding with purpose. 1664 saw Francis Willoughby return to his colony after an absence of over a decade. After all his legal battles he was now the undisputed proprietor of the land. In many ways this should have been a triumphant return but in reality it presaged disaster and for the colony. Firstly, he did not receive the heroes welcome he believed he deserved. Indeed, many of the settlers were concerned that the fact that he had been granted proprietal rights over the colony by King Charles II, they would effectively lose any claims to Freehold and be little more than renters. Willoughby did little to reassure the settlers about their legal rights and some 200 of them left the colony in disgust. One settler was so put out that he actually tried to murder Willoughby and succeeded in removing some of the owner's fingers and cutting him on the head. The angry settler was eventually brought to heel but later killed himself before he could be tried and punished officially. The 'tolerant' colony was losing its lustre and its social cohesion. Worse was to follow whilst Willoughby recuperated from the attack against him. The Dutch and English had finally gone to war with one another. The principle cause was the Royal African Company's attempts to seize Dutch slaving forts in West Africa. A Dutch fleet was sent to the West Indies to seek revenge and laid siege, all be it unsuccessfully this time, on Barbados. Willoughby as the official governor of the Caribbees would now see his official position clash with his commerical one as the King instructed him to 'root the Dutch out of all places in the West Indies'. Willoughby instructed one force to seize Tobago from the Dutch only for the force to find that English privateers had already beaten them to the job. They therefore continued on to the Dutch colonies on the mainland. They seized and sacked the Dutch forts guarding the colonies of Essequibo and Pomeroon. A further attempt to seize Berbice by English privateers was beaten off. Orders from Willoughby to his governor at Willoughbyland to send a force to seize the small Dutch colony of Aprowaco further down the coastline were carried out reluctantly but with success. The Wild Coast had been drawn into the Anglo-Dutch War. Events took a darker turn for the colonists when the French threw in their lot with the Dutch against the English in 1666. Once again Willoughby requested that the colony send an expedition to seize the French colony of Sinnamai and send reinforcements to the forts at Pomeroon and Essequibo. Although they succeeded with the first task they were too late to relieve the small English garrisons in their captured Dutch forts. 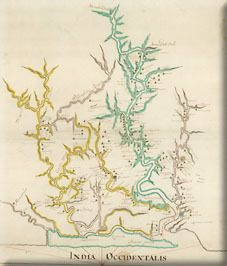 The French had sent a force to recapture Pomeroon whilst the Dutch garrison at Berbice had marched overland to relieve Essequibo. Worse news was to travel back to the Surinam colony when it was discovered that the French, despite having given promises of safe passage to the surrendering English soldiers, had allowed their Arawak allies to massacre and mutilate the English. In a very short space of time, Willoughbyland had gone from feeling safe and secure to feeling precarious and isolated between vengeful French and Dutch forces. Even more perturbing for the colony was news that there proprietor had died. Although many settlers had come to be wary of his ownership, his manner of death would leave the entire region open to attack. He had gathered a small fleet of ships to attack the French who had seized St. Kitts. It was anchored at Guadeloupe when a hurricane ripped through the flotilla, destroying the fleet utterly. 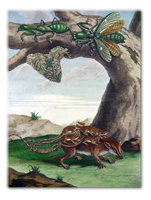 Governor of the Caribbees, Francis Willoughby, was never seen again. He had been killed conducting the orders of his King and in doing so had lost control of the seas of the Caribbean to the French and Dutch and so put his colony, which now passed to the ownership of his brother, in great danger. The Dutch sensed the opportunity. There were plenty of ex-Parliamentarians in Surinam who made it clear that they had little love for the cause of the English King. There was also the Jewish community who were all originally of Dutch descent. Indeed, many of the settlers preferred to be captured by the Dutch they knew and had traded with rather than wait for the French whom they despised and feared. Admiral Crijnssen duly set off from Holland with a fleet of ships in December 1666. He travelled via the French colony of Cayenne. They arrived off the coast of Surinam in February of 1667 and set about attacking Fort Willoughby which guarded the entrance to the river and hence the colony itself. The small fort with little ammunition and disease weakened defenders put up a token fight but could not resist the determined efforts of the Dutch ships and soldiers. The Dutch promised generous terms to those who wished to remain. They offered a continuance of freedom of worship and that all land, excepting that of Willoughby and absentee landlords, would be respected. Crijjnsen's Dutch fleet set sail to retake Tobago and St. Eustatius before it was dispersed by an English fleet under John Berry. Meanwhile another fleet was despatched under Sir John Harman to try and recapture some of the lost territory. It scored a significant naval victory off Martinique returning control of the seas to the English. 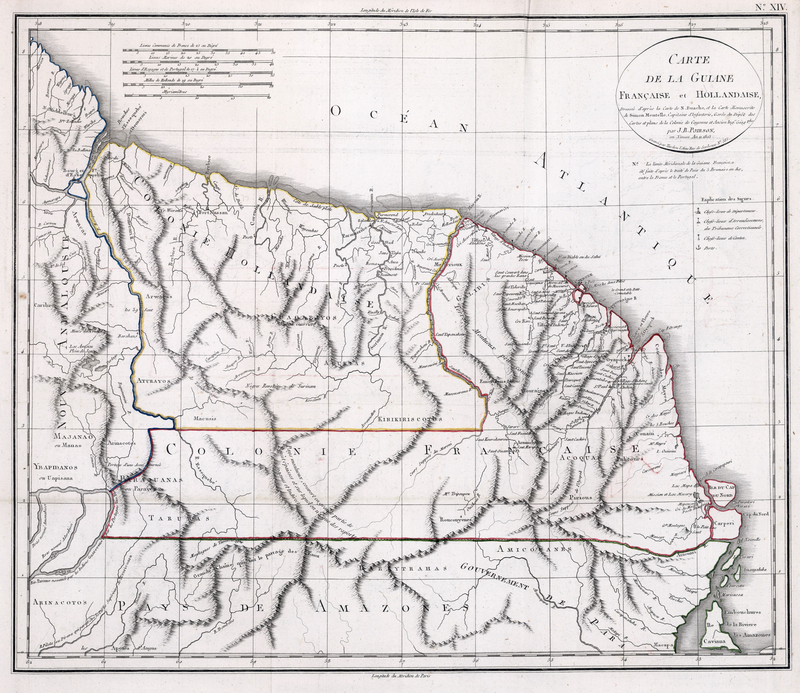 It then set off to reconquer Surinam via the French colony of Cayenne. The French capitulated relatively easily soon after their governor fled to Surinam with the treasury and a small force of soldiers. Sir John Harman's fleet then preceded to what had been Fort Willoughby but had now been renamed Fort Zeelandia by the Dutch. It was a far more impressive structure than it had been, but a determined attack once again seized back the fort for the English and thereby they had regained control of their lost colony. Unfortunately for all those participating in the attack, events back in Europe had overtaken events in the New World. The Dutch had scored a stunning victory on the Medway which had forced the English to cede generous terms in the Declaration of Breda. The most glaring of these was that the Dutch were to keep control of the colony of Surinam despite Sir John Harman's recapture of the colony. In return, the Dutch were to cede control of their colonies in New Netherlands in North America. It was clear that the Dutch had received the better of this deal. It is somewhat ironic that the reasons that Surinam was traded away was precisely because of the privileges that had made the colony a success. The fact that it had been granted immunity from the Navigation Acts meant that there was little incentive for the English government to keep the colony. Furthermore, lobbyists from Barbados were keen to see their sugar rival removed as a source of competition within the English Empire. The colony was reluctantly handed back to the Dutch but not before many of the plantations had been destroyed and many slaves released into the interior where they would form a large and important Maroon community that would last until the present day. The English were encouraged to migrate to Antigua to help rebuild that colony although a large contingent set sail to Jamaica instead. Some English planters remained behind, especially those of more Parliamentarian sensibilities. And of course, many of the Dutch Jews remained behind also. England's first successful South American colony had run its course. It was now a smaller settlement in a larger Dutch colony. Those English who did remain would later see their legal rights undermined after the Dutch privatised the colony in 1683 and passed ownership on to the Society of Suriname. These new owners sought to reallocate foreign owned lands for their own profit. The Dutch colony of Surinam would prove to be a profitable if brutal colony as it relied ever more on slave labour. It also had the hostile Maroon peoples to contend with and suffered a number of slave uprisings. And yet its brutal response to its challenges of authority ensured that significant profits were consistently squeezed from the colony. It was for this reason that the British returned to the colonies twice more during the Revolutionary and Napoleonic Wars as the Royal Navy sought to maximise economic damage to its military opponents. It was reoccupied from 1799 until the Peace of Amiens in 1802 and then once after the Napoleonic Wars had restarted with avengence from 1804 to after the end of the war in 1816 when it was returned to the Dutch.